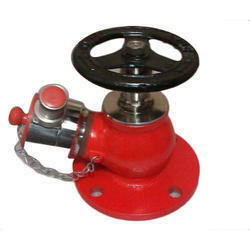 We are able to gain immense expertise in delivering SS Hydrant Valve. The offered range of SS hydrant valves is sourced from trustworthy vendors, who ensure to design it utilizing high grade raw material and modern machines. Along with this, the offered range of SS hydrant valves is available in different sizes, shapes and allied specifications to comprehend and meet the diverse demands of honorable clients. Customers can avail from us a plethora of qualitative Hydrant Valves. These valves are highly efficient and are appreciated for its flawless performances. We procure these valves from reliable and certified vendors ensuring longer service life of valves. These valves are manufactured as per the set norms and standards and are available in different sizes, shapes and designs. Customer can avail these valves as per their needs and requirements, we provid e door-step delivery within stipulated time. We are an eminent name, which is engaged in delivering Hydrant Valves to our clients. 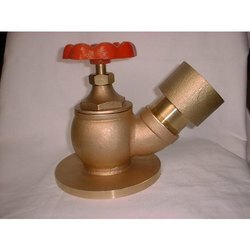 The offered range of hydrant valves is designed & developed by reliable vendors, who ensure to utilize high grade raw material and highly modern machines in strict tandem with the industry laid norms and standards. Along with this, the offered range of hydrant valves is available with single head, flanged inlet & stop valves that aid us in handling the flow and direction of water. The offered range is widely acclaimed for its permanent finish and low maintenance. 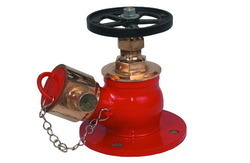 In order to cater to the diverse requirements of honorable clients, we are able to offer Fire Hydrant Valve. 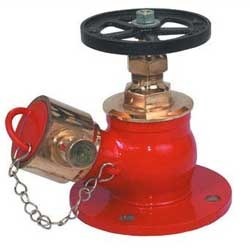 The offered range of fire hydrant valves is made by reliable vendors, who ensure to utilize high grade raw material and highly advanced technology in strict compliance with the international quality standards. 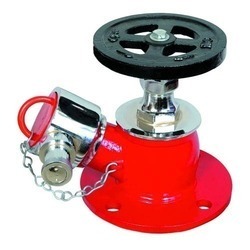 Along with this, the offered range of fire hydrant valves consists of crew oblique hydrant valve, screw right angle hydrant valve, flanged right angle hydrant valve and flanged straight through hydrant valve. Backed by the rich experience and a competent team of professionals, we are able to offer Fire Hydrants. The offered range of fire hydrants is made utilizing highly modern machines and sophisticated technology at reliable vendors' premises. Along with this, the offered range of fire hydrants is available in different specifications and customized designs in accordance with the diverse demands of clients. 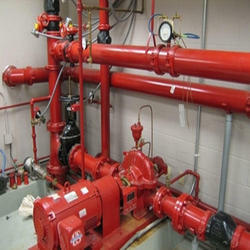 We are an eminent name, which is engaged in delivering Double Hydrant Valve to respectable clients. This range of double hydrant valves is sourced from trusted vendors of the market. In addition to this, the offered range of double hydrant valves possesses a wheel hand, which opens/shuts off the double hydrant valves. Made using gunmetal, the offered range is stringed to the branch of the hydrant post, which carries water under pressure. For ensuring that water does not flows out, stop valve is used. A connection is formed at the delivery end via the male part of the hose coupling, which carries water to the required spot. The offered range possesses two delivery ends that ensure fast water supply. This range also consists of a flange, which is attached to branch of hydrant post ensuring smooth handling water under pressure. We are an eminent name, which is engaged in delivering Hydrant Valves to our clients. The products we design are optimized to perform in a smooth manner, without causing obfuscation. These hydrant valves have single head, flanged inlet & stop valves that helps in controlling the flow and direction of water. Moreover, the products offered by us are tested on various parameters to ensure their adherence with international standards and norms. Keeping in sync with time, we are able to offer Double Headed Gun Metal Hydrant Valve to our respectable clients. The offered range of double headed gun metal hydrant valves is made by reliable vendors, who ensure to bring it in strict compliance with the international quality norms and standards. Moreover, the offered range is mechanically handled by dialing to fire brigade authority.